The basis of any good coating is preparation. 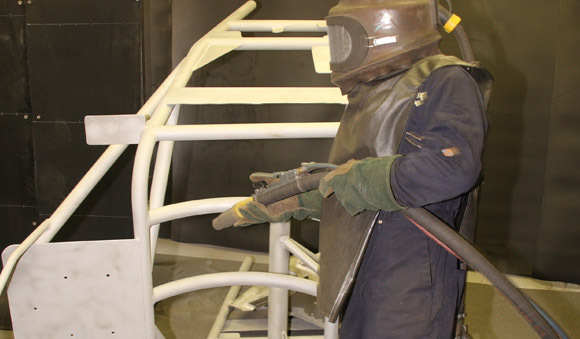 The vast majority of powder coating failures can be traced to a lack of a suitable preparation. The preparation treatment is different for different materials. 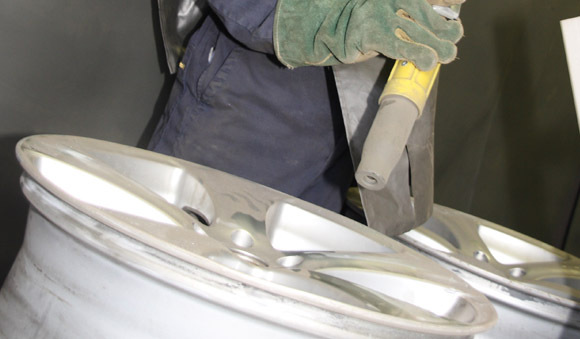 At Fleming Coating we have a full range of pre-treatment system to allow a longer lasting and superior finish. It is essential to remove oils and lubricants and metal oxides and this is performed usually by a variety of chemical and mechanical procedures, dependant also upon the material, size, and finish required. Cleaning of the surface is vital to any coating system gaining adhesion and performing so that it doesn’t flake, peel, bleed back or rust. The following matrix provides an idea of the differing levels of pre-treatments available. Level F3- Hand blast, main powder, and clear coat powder. At Fleming we are fully aware of the importance of pre-treatment and have the ability to perform all of the elements of the matrix above. Please read on to find out more about the differing pre-treatment methods. 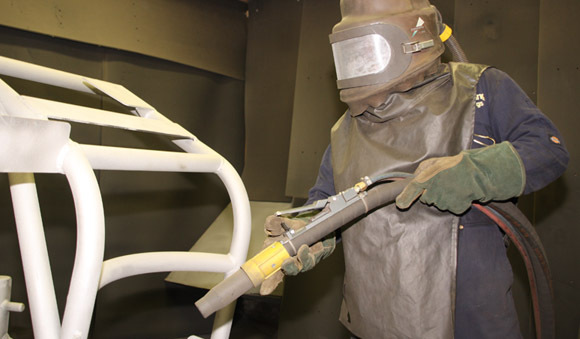 Shot blasting is the operation of cleaning or preparing a surface by forcibly propelling a stream of abrasive material against it. Usually explained as the use of a material against another material to make it smoother, remove surface contaminants or to roughen a surface. Hand blasting is similar process with similar results but our purpose built blast room allows for the removal of rust and paint etc for irregular shape and sized objects not possible to put through the main shotblaster. Hot-dip galvanising is the process of coating steel, with a thin zinc layer, by passing the metal through a molten bath of zinc at a temperature of around 460 °C. When exposed to the atmosphere, the pure zinc reacts with oxygen to form zinc oxide, which further reacts with carbon dioxide to form zinc carbonate, a usually dull grey, fairly strong material that stops further corrosion in many circumstances, protecting the steel below from the elements. Galvanised steel is widely used in applications where rust resistance is needed. Is a process where galvanised product is place at 200C to remove any trapped gas after the material has been galvanised but prior to powder coating. Without degassing this trapped gas can create mini explosions in the zinc galvanising creating small craters in the powder coated finish.